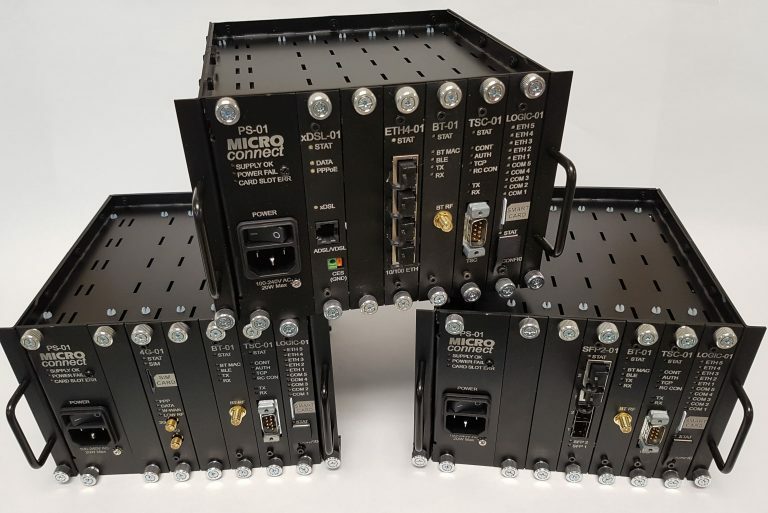 The Micro Connect LCM RE – (Standing for Rack Expansion) is the latest in the line of Linking Communications Modules. This is a modular design that allows customers to choose cards based on their individual requirements. Expansion card options are varied and can consist of xDSL (ADSL,VDSL), 4G, Ethernet and SFP Fibre uplinks. Bluetooth travel time cards along with V2I are also available. Cards can be customised if required.